The best Volvo S60 & V70 2000-07 performance intercooler kit on the market! This BigPack includes both do88 performance intercooler and pipe kit. - Core volume: 13068m3 (8659cm3), do88 is 51% larger! 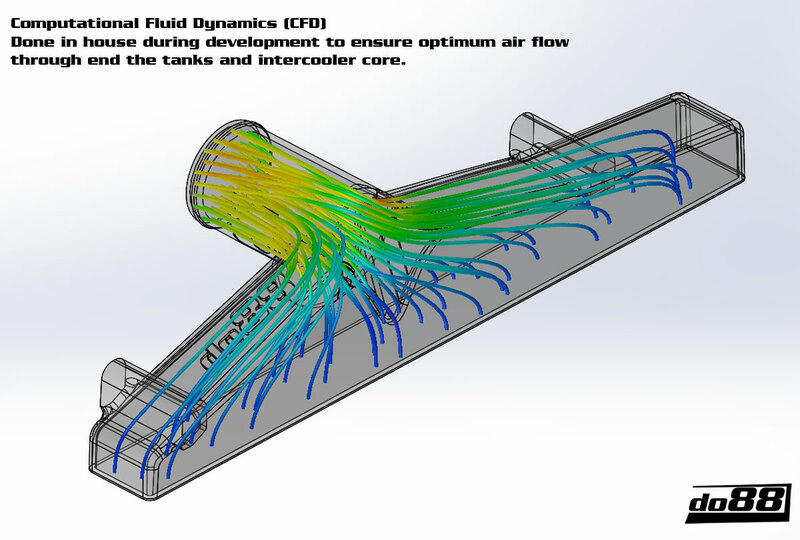 - Air flow at 0,15bar/2,18psi pressure drop: 272CFM (247CFM), do88 10% higher! 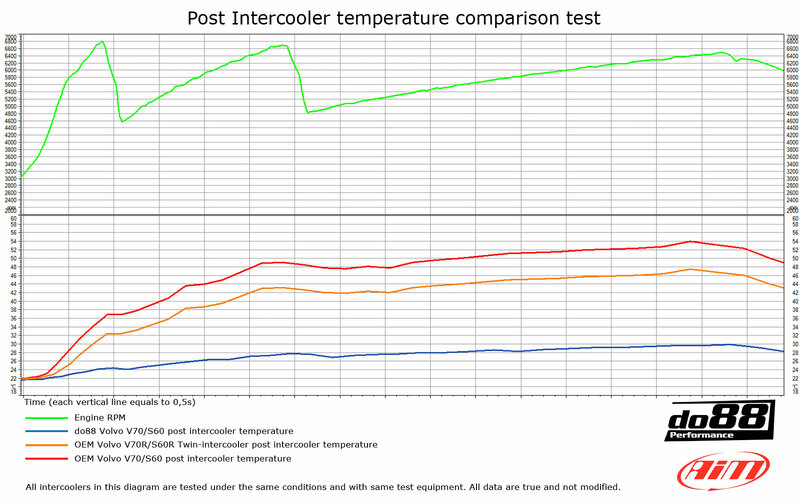 - Post intercooler air temperature at same conditions: 30°C (54°C), do88 24°C lower! 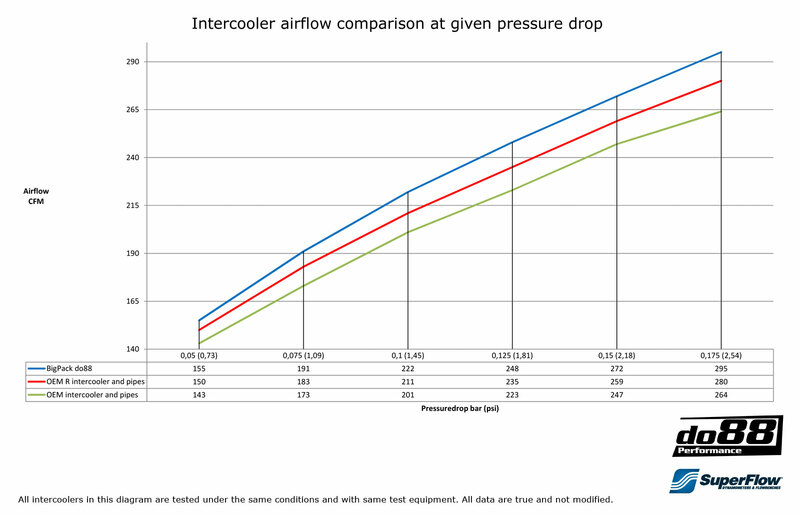 24°C lower IAT and 10% better Ì_r flow is an Big improvement! The pressure pipes are manufactured in 2,5" mandrel bent seamless SS pipes.